This was our third time to eat at this Thai restaurant. We were here twice last year, and each time we visit, we always discover new gastronomic delights. It was two days before Valentine’s Day this year that we went to 8 Spices Thai Cuisine. 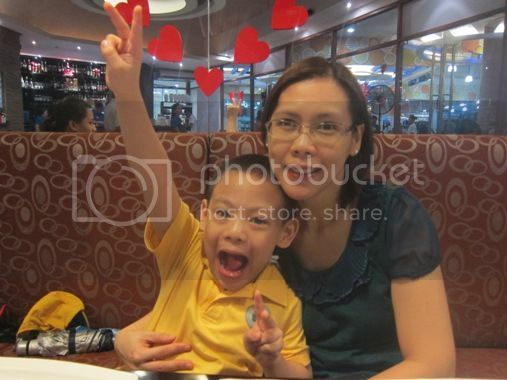 We didn’t plan to celebrate Valentine’s Day; we simply wanted to eat out, but because it was almost Valentine’s Day and our son and his yaya were with us, this particular visit to 8 Spices became our family Valentine date. It looked good and tasted good. However, hubby preferred 8 Spices’ Pork Ribs with Honey Served with Spicy Garlic Sauce. 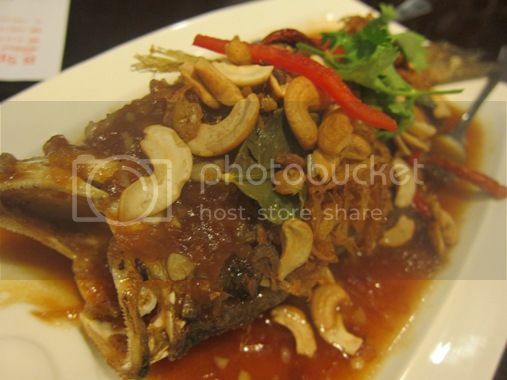 We had that on our very first visit to 8 Spices Thai Cuisine last year. This was delicious! The Lapu-Lapu fish was fried to perfection. However, it wasn’t indicated in their menu what herbs they used to prepare this delectable fish dish, and I also didn’t bother to ask our server because I was busy gorging myself on this delightful treat. And oh, we loved those cashew nuts, too! We will definitely order this again. 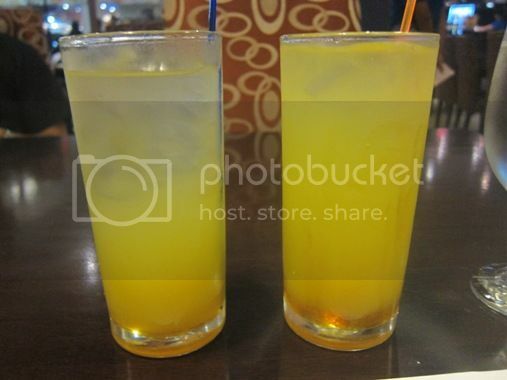 I remember I had a cough that day, and I needed more Vitamin C, so I ordered calamansi juice. It was a bit too sour, but I liked it that way because it soothed my cough somewhat. We had a sumptuous pre-Valentine’s Day dinner! This entry was posted in 8 Spices Thai Cuisine, Food Friday, Food Trip Friday, Restaurant Review, Robinsons Galleria, Thai Cuisine. Bookmark the permalink. This looks like escabeche, yummy! Those spare ribs look yummy! I go loco over their Lapu Lapu! ♥ Hope to come by 8 spices soon! 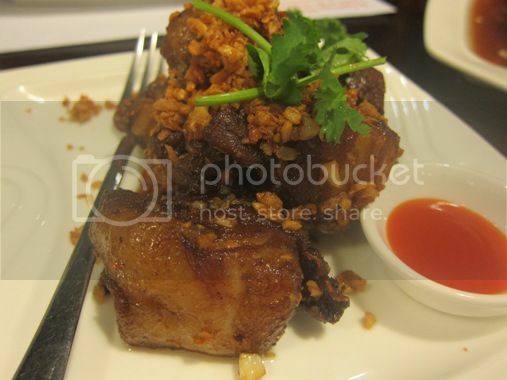 I also like Thai Pork Spareribs with Garlic. Perhaps it is the only dish that I like here at our local Thai restaurant.